In today’s technology-centric environment, businesses need 24/7 connectivity and communications capabilities in order to be successful. 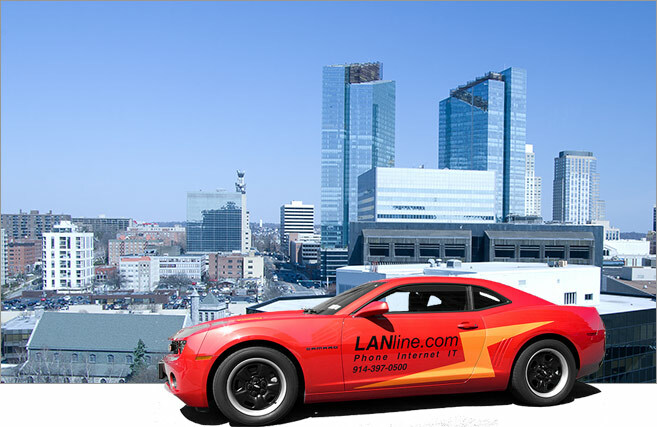 As the largest independent Internet, telephone, and IT company in the tri-state area, LANline Communications, Inc. designs, installs, and maintains customized local area networks (LANs), Internet access, and phone systems tailored specifically to meet client needs and budgets. In business since 1995, we have more than 700 business clients in varied industries – hospitality, non-profit, credit card, professional services, small business, manufacturing, and others – and are experts in integrating mobile, hand-held, wireless, fiber and other resources into IT systems. These systems service our clients from keyboard through the Internet. Our guaranteed service and high-quality personalized support for each and every customer set us apart from the competition. We understand the critical nature of computer technology applications and the need for businesses to operate seamlessly every day. What we do best is put minds at ease — A partnership with LANline means never going down and always being reachable for clients, no matter when and no matter what. We go beyond FIOS and cable. LANline Communications specializes in providing LAN, Internet, and phone services to small and mid-size businesses in Rockland, Westchester, and Putnam Counties, in New York. The LANline network of satellite offices services clients worldwide.